It was 11:04 when Patrick walked through the door that final night almost a dozen years ago. I remember the numbers glowing red and angry on the digital clock by our bed, the sound of his key turning in the lock. I remember his sheepish expression, the way his five o’clock shadow had bloomed into an almost-beard, the way his shirt looked rumpled as he stood in the doorway. I remember the way he said my name, Kate, like it was an apology and a greeting all in one. I’d been listening to Sister Hazel’s Fortress, my favorite album at the time, as I waited for him to come home. “Champagne High,” the fourth track on the CD, was playing, and just before he walked in, I was mouthing the lyrics, thinking to myself how “the million hours that we were” was such a poetic way to describe a life together. Patrick and I were just four months into our marriage, and I couldn’t imagine a day when we’d no longer be with each other. I was twenty-eight then, Patrick twenty-nine, and the years seemed to stretch before us into an endless horizon. I remember reflecting that a million hours—just over a hundred years—didn’t sound like enough time. But as it turned out, our hours together were almost up. The number that defined us in the end was only fifteen thousand and nine. That was the number of hours that had passed since we’d met at a New Year’s Eve party on the last night of 2000, the number of hours we’d spent knowing we’d found our soul mates, the number of hours we’d spent thinking we had it all. But fifteen thousand and nine isn’t even close to a million. “Honey, I am so, so sorry.” Patrick was all apologies as he fumbled his way into the bedroom, where I sat on top of our comforter, knees pulled up to my chest, checking my watch pointedly. The relief that he was home safely was being quickly supplanted by annoyance for making me worry. “You didn’t call.” I knew I sounded petulant, but I didn’t care. We had made each other a promise the year before, after my uncle had been killed in a hunting accident, that we’d always make an effort to let each other know when we were going to be late. My aunt had been blissfully unaware of her husband’s death for nearly twenty hours, which had horrified Patrick and me. “I just got caught up in something,” Patrick said, averting his gaze. His thick black hair was mussed and his green eyes were full of concern when he finally looked back at me. I glanced at the phone on our bedside table, the phone that had been silent all night. “You were stuck at the office?” I asked. It wouldn’t have been the first time. Patrick was a risk management consultant for a firm in Midtown. He was young, hungry, one of those people who would always pitch in if there was extra work to be done. I loved that about him. Candice Belazar was the girl he’d dated just before me, a bartender at a smoky dive in Midtown. It had been a short-term fling and they’d broken up two months before we met, but she’d been a thorn in my side as long as I’d known him. “It was just a physical thing,” he’d tried to explain the first time he told me about her. “I was in a rut, and she was there. I got out of it as soon as I realized how wrong we were for each other.” But that hadn’t been much comfort. We’d run into Candice once at a restaurant in Little Italy, and having a face to put with the name only made things worse. She was several inches taller than me, with huge, obviously fake breasts, stringy bleached blond hair, and hollow eyes. She had smirked as she looked me up and down, and I’d heard her stage-whisper to her friend that Patrick apparently couldn’t handle a real woman anymore. “I’m so sorry.” He raked his fingers through his hair. “There’s no excuse. But I would never, ever cheat on you. Ever. You know that.” His voice caught at the end of his sentence, but his eyes were as guileless as ever. I felt my shoulders relax a little as some of my indignation rolled away. “Whatever,” I huffed, because I couldn’t think of a better response. I knew he was telling the truth, but the thought of waiting at home while he sat in a bar with his ex-girlfriend still stung. I wasn’t going to tell him it was okay, because it wasn’t. “Yes, heaven forbid you offend Candice,” I muttered. “Kate . . .” Patrick’s voice trailed off. “I’m going to bed.” I knew I was supposed to soften, to tell him it was all right. But I couldn’t bring myself to. “Don’t you want to talk about this?” he asked. I rolled my eyes, stormed into the bathroom, and slammed the door behind me. I blinked at my reflection in the mirror, wondering how, nearly two years after they’d broken up, Candice still managed to hold some kind of power over my husband. But as I climbed into bed ten minutes later, I could feel myself thawing a little. After all, Patrick had told me right away where he’d been. I knew he was being honest. And besides, he’d chosen me, and deep down, I knew that he would choose me every day for the rest of our lives. As I pulled the sheets over me, my anger receded in slow, steady waves. I was already half asleep when Patrick came to bed. I turned away from him, facing the wall, and after a moment, I felt his arms encircle me. He moved closer, pressing into my back, entwining his legs with mine. I thought for a moment about pulling away, but it was Patrick, my Patrick. He would tell me in the morning what had happened, and I would understand. So after a pause, I relaxed into his warmth. Patrick kissed the hollow beneath my left ear, sending a shiver up my spine. “I knew before I met you—” he murmured, just as I began to drift off to sleep. I smiled. “—that I was meant to be yours,” I replied. It was the way we always said I love you, our own special language. I knew I’d feel that way for the rest of our lives. Sunlight streamed into the bedroom along with the scents of coffee and bacon when I awoke the next morning. I blinked and rolled over to look at the clock. It was 6:47, and Patrick was already up, making me breakfast. I knew it was his version of an apology, but in truth, he was already forgiven. “Morning,” I said, covering a yawn as I walked into the kitchen a few minutes later. Patrick turned around holding a spatula, and I began to laugh. He was wearing a yellow KISS THE CHEF apron over his I LOVE NY boxers and white T-shirt. His feet were bare, his hair sleep tousled. He set two plates of scrambled eggs, crispy bacon, and toast with strawberry jam on the table with a flourish. A moment later, he returned with two steaming cups of coffee, already lightened with cream and sugar, and sat down beside me. “You didn’t have to cook, honey,” I said with a smile. I took a bite of my eggs and looked up to see him watching me, his gaze intense. “What?” I asked, my mouth still full. I take a sip of my coffee, then I draw a deep breath. “It’s okay,” I said. “Aren’t you forgetting something?” Patrick asked a moment later, as I crunched on a piece of bacon. “It’s probably in your best interest to just follow along, then.” He smiled at me, stood, and held out his arms. I laughed and got up. He bent his head, I stood on tiptoe, and our lips met. “Good enough?” I whispered after a moment as he wrapped his arms around me, folding me in. “Not even close,” he murmured back. Then he was kissing me again, parting my lips gently with his tongue. We made love that morning, quickly, urgently, drinking each other in. Then I cleaned up our breakfast dishes while he showered and dressed for work. “Looking good!” I marveled with a whistle as he reemerged into the kitchen with freshly washed hair, charcoal pants, a crisp blue shirt, and a striped gray tie. “Life is good,” I agreed. I kissed him again, and this time, it was Patrick who pulled away too soon. When I opened my eyes, he was holding up a silver dollar from his grandfather’s old collection. “Listen, would you hang on to this for me until tonight?” he asked. I took it with a nod. “What’s this one for?” Patrick had a tradition of tossing a silver dollar somewhere nearby whenever something good happened to him. You have to pass the good luck on, he always used to say. That way, someone else gets to make a wish. We’d thrown a silver dollar into Central Park the day I’d gotten into graduate school, another into the fountain outside City Hall when Patrick got a big promotion last year, and a third into the ocean near his parents’ house on Long Island after we got married in the spring. “Must be something big,” I added. He stood in the doorway and stared at me for a long moment. “I knew before I met you—” he finally said, his voice soft. The door closed behind him at 7:48 a.m. I was out for my morning run when it happened. While I was jogging north along the Hudson River greenway, marveling at how bright and clear the sky looked after a few days of rain, a thirty-seven-year-old woman named Gennifer Barwin, a tourist from Alabama, was finishing off the bottle of vodka she’d started drinking at three in the morning after a fight with her boyfriend. While I was mentally replaying a lecture I’d heard the day before in the music therapy graduate program I’m just started at NYU, she was strapping her seventeen-month-old daughter Lianna into a car seat in her 1997 Toyota Corolla. While I was thinking how lucky I was that Patrick had encouraged me to quit my banking job to pursue the career I’d always wanted, she was pulling out of the parking lot of Hoboken’s Starlite Motel. You have to do what your heart tells you to do. Patrick’s words of encouragement rang in my ears as my feet pounded the pavement. Life’s too short not to follow your dreams, Kate. As I looked up at the sky that morning, reflecting on how wonderfully supportive my husband was, Gennifer Barwin was swerving through the Lincoln Tunnel, headed for Manhattan. As I turned south to head home, she was taking the exit for West Fortieth Street, sideswiping a sign after she got off the highway. And as I smiled to myself, wondering what piece of good luck had made Patrick hand me a silver dollar that morning, Gennifer Barwin was driving at 47 mph directly into the back passenger-side door of the taxi my husband was riding in. Thirty minutes later, I rounded the corner to our fifth-floor apartment, still breathing hard from my run, and found two uniformed police officers standing outside my front door. “Mrs. Waithman?” asked the younger one. I’m not sure whether it was his eyes full of sympathy, his somber expression, or the way he said my name, but in an instant, I knew something was terribly wrong. “What happened?” I asked, my knees buckling beneath me. The young officer caught me before I could hit the ground. “You’re sure it’s him?” I choked out. “Mrs. Waithman—” the younger one began uncertainly. From the thin slice of stillness that lingered between them, the way neither of them made a move, I knew before they said the words. “Ma’am, I’m afraid it’s true,” the younger officer said, reaching out again and catching my other elbow so that I was suspended between the two men. I hadn’t even noticed that I was falling. “Is there someone we can call for you?” he asked gently. “Patrick,” I answered irrationally. “Patrick’s my emergency contact.” It had never occurred to me that he could be the emergency. I let them help me inside the apartment, where they placed me gently on the couch. I handed them my cell phone, and somehow, they must have managed to find my sister Susan’s number, because my daze was interrupted some thirty minutes later by her flying through my front door, her hair a mess. I just stared at her blankly. It was like she was speaking a different language. I knew that I’d have to call Patrick’s parents, reach his friends, arrange a funeral, and do all those things you’re supposed to do when someone dies. But the thing is, I wasn’t ready to admit he was gone yet. As long as I sat there on the couch, the couch where we’d spent hundreds of hours together, believing in our future, I could convince myself that the world hadn’t ended. My best friend, Gina, who’d lost her husband a year earlier in the September eleventh attacks, arrived some time later, and the two of them stayed with me, rubbing my back in silence, until long after the time Patrick should have come home from work. I watched the door for hours, hoping beyond hope that he’d walk through it, that it would all be a crazy mistake. But it wasn’t. And as the clock turned to midnight and September nineteenth became the first day of my life that Patrick wasn’t on this earth with me, I finally began to cry. This reading group guide for The Life Intended includes an introduction, discussion questions, and ideas for enhancing your book club. The suggested questions are intended to help your reading group find new and interesting angles and topics for your discussion. We hope that these ideas will enrich your conversation and increase your enjoyment of the book. Kate Waithman thought she would only have one great love—her perfect husband, Patrick. But when Patrick is tragically killed in a car accident, Kate prepares for a life that is forever incomplete. Twelve years later, Kate has built an impressive career as a music therapist and is finally ready to move on with her fiancée, Dan. Soon after their engagement, however, Kate starts to have startlingly vivid dreams about the life she would have had if Patrick survived. Even more troubling, some of the details in these dreams begin to translate to real life. There is only one piece of the puzzle that doesn’t fit: a daughter, Hannah, a prodigious piano player who is hard of hearing. As Kate struggles to decipher her dreams, she finds herself wondering if her dream life is better than her reality. When she enrolls in a sign language class, she finds herself drifting farther away from Dan and closer to her charming instructor, Andrew. Finally, Kate realizes that she needs to make an impossible choice: cling to a lost past, or embrace a new future. 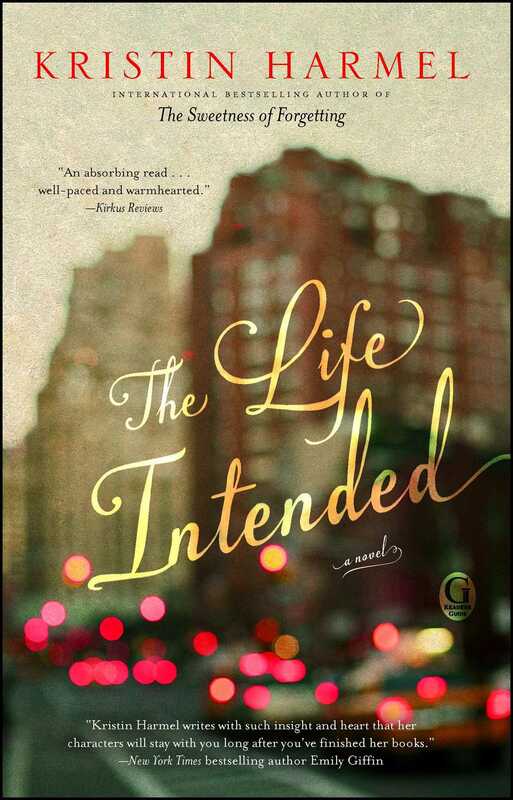 The Life Intended is a captivating novel about the struggle to let go when our memories refuse to be forgotten. 1. Before his death, Kate and Patrick share a special phrase, “I knew before I met you . . . that I was meant to be yours.” How do you think this theme continues to echo throughout the novel as Kate struggles to understand her destiny? 2. Discuss how karma figures into Kate’s story. Patrick superstitiously collects silver coins and then returns them to the universe when experiencing a stroke of good fortune. How do Kate’s feelings about this habit change? What does it mean when she finally relinquishes Patrick’s last coin? 3. When Dan proposes, Kate is besieged by memories of Patrick that are still fresh even twelve years after his death. Discuss how familiar relationship milestones can trigger the emotion of past loves. Do you sympathize with Kate in this moment? Or should she focus on moving on? 4. As Kate is swept into the past, she must also contend with a certainty about her future—her infertility. Discuss her regret upon realizing that she can’t ever get pregnant. How does she react to Dan’s complete indifference to this news? 5. When Kate wakes up to a dream version of Patrick, she is confronted by a world that is strangely familiar yet full of differences from the life she knew with him. She meets Hannah, a hard of hearing girl who can’t possibly be her biological daughter; finds that her sister, Susan, has a happy life in San Diego; and realizes that she no longer works with children. What kind of trade-offs have occurred in a world where Patrick is still alive? 6. Kate relies heavily on Gina, a friend who also lost her first husband, for emotional support. Are Kate and Gina alike in the way they handle grief? How are they different? 7. As both a music therapist and a volunteer for St. Anne’s, Kate consistently witnesses the healing effects that music can have on struggling children. But not all of her students are easy to reach. Who do you think is the toughest shell to crack, and why? How does Kate earn their trust? 8. As Kate’s dreams become more frequent, her experiences with Andrew are connecting her in new ways to the “real world.” Why do you think she is so drawn to him? What about their pasts bring them together now? 9. On the day she goes wedding dress shopping, Kate is haunted by the lace gown she wore when she first walked down the aisle. She’s also certain that she sees her dream daughter, Hannah, pass by on the street. Discuss the fine line between being stuck in the past and letting that past inform your future. What is Kate’s gut trying to tell her here? 10. When Dan says his friend Stephen has accidentally gotten a girl pregnant, Kate feels very conflicted. Discuss this moment in the novel and how it relates to her confession to Joan about wanting to be a mother. How does this moment influence Kate’s decision to call off her wedding to Dan? 11. Kate tells Dan that “sometimes the greatest things in life come from the greatest challenges.” (pg. 134) What do you think Kate’s greatest challenge was at the beginning of the novel? What do you think it is by the end? 12. During her dreams, Kate realizes that while some parts of her life are drastically different, her essential characteristics and tastes remain the same. How much do you think a person can change over their lifetime? And which aspects of an individual personality are more likely to stay constant? 13. Kate’s mother reminds her that if she is not careful, “regret will grow in spaces you don't even know are there." (pg. 165) What do you think she means by this? Do you think Kate finds a way to take her advice? 14. Although Kate does not end up adopting Allie, she is cleared as a foster parent and finds her way to Patrick’s lost daughter. She also realizes that Andrew might never have made such an impact at St. Anne’s if he hadn’t lost his brother at a young age. While the novel doesn’t necessarily imply that life is fair, it does suggest that there is a balance and order to things. Do you agree with this outlook? Why or why not? 1. In her dream world, Kate and Hannah like starting the day by making their favorite blueberry and peanut butter pancakes. Grab some fresh blueberries and start your book club by coming up with your own special recipe for this delicious dish. 2. During her music sessions at St. Anne’s, Kate asks Allie to come up with her own lyrics to a favorite song. Share your favorite song with the book club and discuss how you would adjust the lyrics to describe your life. 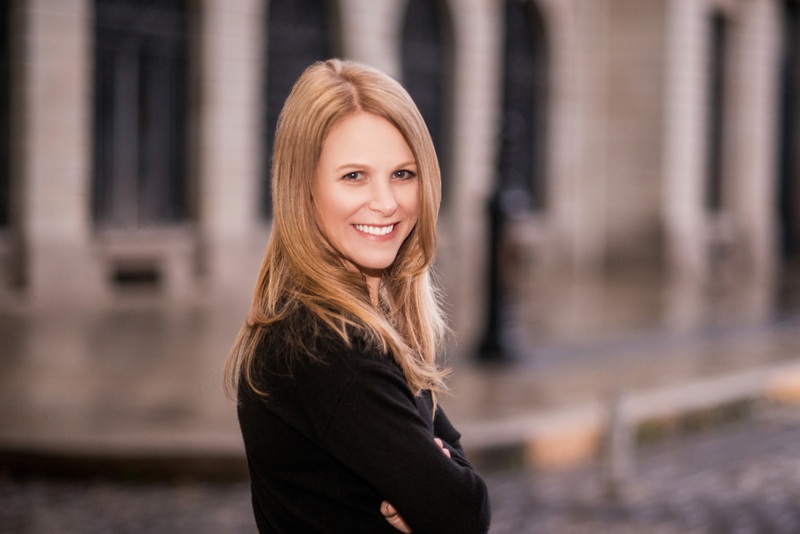 After she finished writing the novel, Kristin Harmel was inspired to write the lyrics to a song called “The Life Intended.” Listen to it and find out more here: http://kristinharmel.com/the-song/. (Also available on iTunes.) How do you think the lyrics of the song relate to the novel? 3. In honor of Allie and Hannah, listen to Beethoven’s The Piano Sonata No. 32 in C minor, Op.111, which he wrote while deaf. Discuss what you hear and how it changes your definition of music. 4. Patrick’s family has a tradition of “paying forward” good luck with silver dollars. How do you “pay it forward” in your own life? Discuss a family tradition you have, or start one of your own! "The latest from Harmel...is an affecting tale about finding happiness amid grief and guilt. Some twists are telegraphed early in the novel, but that doesn’t diminish the satisfying conclusion." "Harmel manages to deliver an immersive and evocative tale of generations struggling to survive. Recipes sprinkled throughout the book allow readers to experience firsthand the sweetness of Hope's journey." "THE SWEETNESS OF FORGETTING is absolutely enthralling and full of twists and turns that add to the drama and keeps the tale moving along. Author Kristin Harmel does a magnificent job of telling this saga of one family's search for understanding. She also handles her approach to Alzheimer's disease with gentleness and understanding. Readers will remember THE SWEETNESS OF FORGETTING long after the final page is turned." "Kristin Harmel's novels are written with a lot of heart and soul. She has a way of bringing the reader into her stories in such a powerful way that they can often forget they're reading at all. The Sweetness of Forgetting may just be Harmel's best book yet." "The kind of book that stays with you … Incredibly moving moments serve as beautiful relief [to the darker subplot]. The ending will no doubt bring tears to your eyes." "The Sweetness of Forgetting pulls together in the end like a warm embrace"